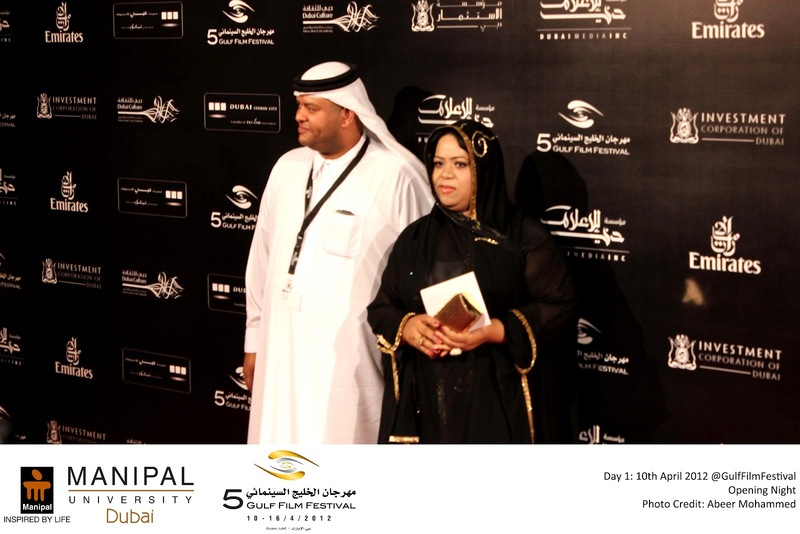 The red carpet welcomed celebrities and filmmakers coming from the Gulf region at the opening night of the Gulf Film Festival, GFF, held this year at Intercontinental Hotel and the Dubai Festival City cinemas from the 10th-16th of April. With a fresh start to its fifth edition, it is one of the region’s leading platforms for the existing and newly evolved filmmakers to showcase their work. The grand six day event officially opened with the screening of the film Tora Bora, produced and written by Walid Al Awadi, the award winning Kuwaiti filmmaker. His film will be part of the Gulf Features competition this year. Honoured with international and local recognition at the fest, Tora Bora is a 102 minute feature film that portrays the plight and despair of the parents who set off on a journey to look for their young boy who is brainwashed by extremists and decides to leave Kuwait for Afghanistan. “I am always inspired by true stories and this family’s story in Tora Bora inspired me, who went all the way to get their son back home. The fight which the parents undertake was a challenge for them and portraying those emotions effectively as a filmmaker, to which the audience can relate to, is a challenge in itself”, said the producer. Among the highlights of the opening night will be the special ‘In Focus’ programme that will concentrate on Jordanian cinema, comprising of five movies for public screening. 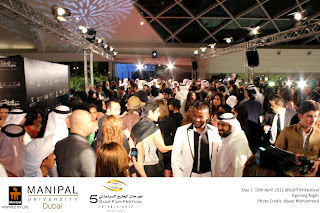 Since its beginning from the year 2008, GFF has emphasized on showcasing talent from across the Gulf. This year it is hosting a congregation of 155 films short-listed from 1050 films, from the GCC region and from across the globe. “The region’s film industry has made significant strides over the last five years, with the Gulf Film Festival playing a crucial role in contributing to the growth by promoting local talent and offering them a platform to showcase their works,” saidMr.AbdulhamidJuma, Chairman of the Gulf Film Festival. “We will also be showing 37 films that were made in the workshops held here. There are more of Emirati films this time, including films from Bahrain, Kuwait, Qatar and Oman”, he added. Mr.Juma thanked the Dubai Culture and Arts Authority for their continued support to the festival, which builds on the goal of promoting local talent in all art forms including film. The opening night red carpet was also attended by His Highness Sheikh Majid bin Rashid Al Maktoum, the Chairman of Dubai Culture & Arts Authority. “The festival is a testimony to our commitment to promote a vibrant filmmaking culture by encouraging the filmmakers from the region to take their talents tonew heights, serving as a solid platform for a Gulf-wide film industry to thrive on”, said Sheikh Majid. Bassam Al Thawadi, the veteran film-maker from Bahrain was especially honoured for his work and felicitated with the award for “outstanding contribution to cinema”, which has been more inspiring for the upcoming talents. “I am looking forward to watching all the films especially the new generation films. This year Gulf Film Festival looks great!” said Vossoughi. Nominated for the Gulf Features competition, filmmaker Katy Chang commented on her movie which is based on the art scene of Dubai, whether the film has specific audiences or is unanimous, “I feel like my film is a universal film, it’s about having hopes and dreams and achieving them” she said. Audiences will also be able to watch some diverse trend-setting short films, which will be coming from around the world, in the Lights and Intersections category at the festival. The GFF is also celebrating its fifth anniversary where the festival shall go to the Capital, Abu Dhabi from the 12th-14th of April.